On Sunday, many will have a meeting, conversation, or engagement with a woman from a family of relatives. Today some events or news will surprise you, especially those that concern your family. On this day, many will receive news about future motherhood, child birth, or important news from their own child. Sunday will be a good day for romantic experiences for men over 35 years of age. Young women and girls will experience a variety of surprises that will in most cases cover their wishes or expectations. If you were born under the sign of Aries, Leo or Sagittarius, today you will experience a meeting or gathering for which you will have a preliminary agreement. Today, an emotional conflict can arise with someone in your circle of friends or acquaintances. It would be good to avoid such a confrontation because you will experience the unpleasant disappointment that you will carry within yourself for a long time. 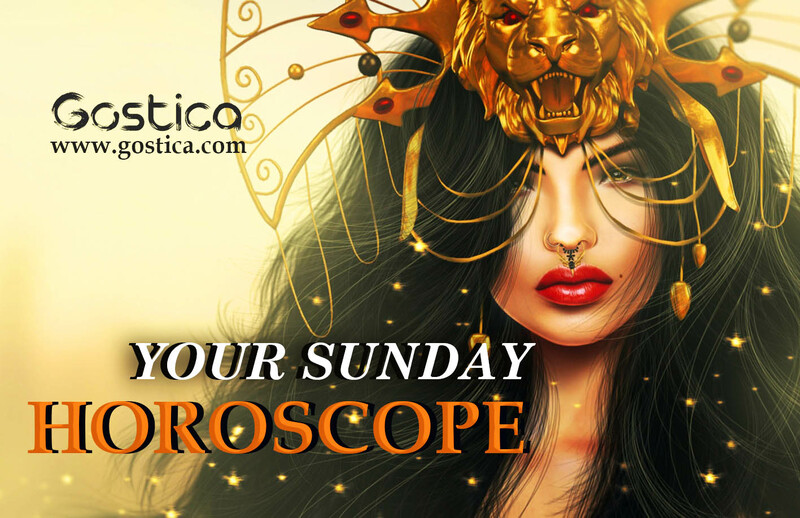 If you were born under the sign of Taurus, Virgo or Capricorn, Sunday will be an important day for conversations or decisions related to your family. You may have an engagement with a friend that you will have to do today or tomorrow. Love can bring you pleasant emotions. If you were born under the sign of Gemini, Libra or Aquarius, today you will encounter difficulties in implementing plans related to the family or relatives. You will require more patience in order to avoid conflicts. Love will create emotions through various romantic messages, love conversations, or new developments of old acquaintances. If you were born under the sign of Cancer, Scorpio or Pisces, on Sunday it would be good to spend some of your day in nature. Dreams on Sundays and Mondays will not be casual. This day is a time of excellence or important success. You are unable to make any progress because of your pessimistic attitude. It is high time for you to realize that worry has retarded your thinking power. Look at the brighter side and you will see a definite change in your discretion. A new financial deal will get finalized and fresh money rolls in. A day for renewal of bonds and ties with relations. Give tiny bits of kindness and love to make it a special day. Tension filled day when several differences might crop up with close associates. Today, you will realize that your marriage had never been so beautiful. Purposeful internet surfing may help you get better understanding and in-depth thoughts. Health of your spouse may cause reason for stress and anxiety. Certain important work will come to a halt due to bleak financial position. Children could make the day very hard for you. Use affection weapon to keep their interest and avoid any undue stress. Remember love begets love. Even your precious gifts/presents might not bring in the cheerful moments, because it could be discarded by your lover. Some of you will undertake a distant journey-which will be hectic-but highly rewarding. Your life-partner might give less care and importance to your family members as compared to his/her family members in times of need today. Giving some time to your hobbies such as listening to music, dancing or gardening will bring a feeling of satisfaction. Money position and financial problems are however a source of tension. Be secretive about your investments and about your future goals. The jovial nature of family members will lighten up the atmosphere at home. Behave properly while going out with your mate. Your ability to act swiftly to problems will bring you recognition. Your neighbors might try to trouble your married life, but it’s difficult to shake your bond with each other. Spending a bit too much time on social media is not only wastage of precious time, but also not a very good thing for your health. Boundless energy and enthusiasm will grip you and you would use any given opportunity to your advantage. Use your innovative idea to make some extra money. This is the perfect day to attract the attention of others without doing much on your side. Your love partner will surprise you with something really beautiful today. Do not be afraid to say what’s on your mind. Physical intimacy will be at its best with your spouse today. Singing and dancing may help you get rid off all the stress and exhaustion you accumulated throughout the week. Get involved in activities that are exciting and keep you relaxed. Bank dealing need to be handled very carefully. Your compassion and understanding will be rewarded. But be careful as any hasty judgement may put them under pressure. Don’t bend to unnecessary demands of your love. Someone from your past is likely to contact you and make it a memorable day. You might get irritated of your life-partner’s babbling today, but he/she will do something really great for you. A day for doing nothing, just enjoying existence and feeling a sense of gratitude – if you do not force yourself in doing unnecessary things. Today you feel relaxed and in the right mood to enjoy. Travel for some prove hectic and stressful-but financially rewarding. You will face some problems today- but be realistic and do not expect miracles from people who extend help. You are going to be absorbed in romantic thoughts and past dreams. Tax and insurance matters will need some attention. You keep getting jokes on married life over social media, but today you will get really emotional when the startling beautiful facts about your married life will come afore you. You might give way to foodie in you, and savor many delicacies. You may also visit a restaurant where exotic cuisine is served.